Montessori at Home! eBook and Printables Bundle Giveaway! Any long time reader of this blog knows that I love using Montessori principles in my home. However, I've also been pretty honest about how overwhelming taking the plunge into Montessori can be. While I really believe it's amazing for children and families, it can be really different from mainstream parenting. And, traditional Montessori training programs are expensive and time consuming; something most families simply cannot afford. 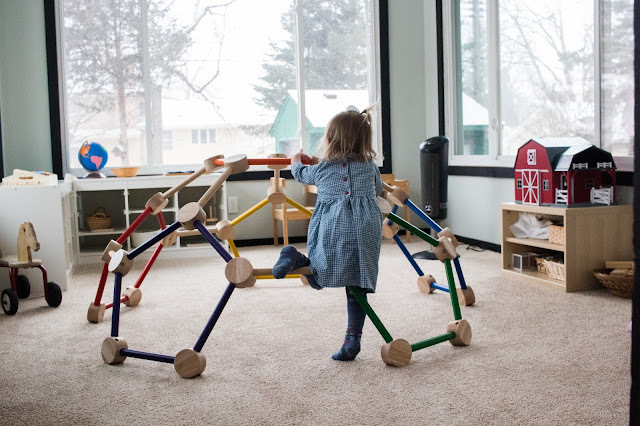 Thankfully, there's a great, affordable option available for families looking to learn about how to use Montessori at home -- Montessori at Home! 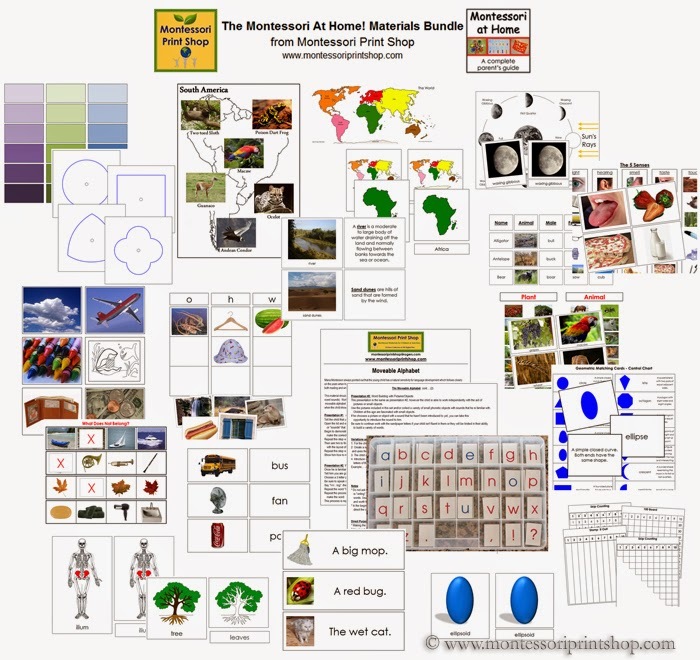 eBook and Printables Bundle by John Bowman. This wonderful eBook is PACKED with information about how to start using Montessori ideas at home for children ages 3 to 6. The eBook doesn't just include information about traditional Montessori work, but how to use these principals in everyday life. How can we encourage independence at mealtimes? How should we handle the use of technology? 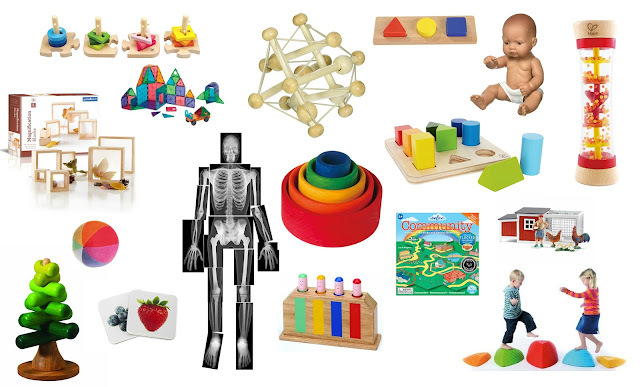 What toys are Montessori-friendly? This eBook answers all these questions and more. Additionally, the book integrates passages from Maria Montessori's own books, so you can not only understand the practical uses of the method but also the theory behind them. And, it does it all with beautiful pictures and links to some of my favorite blogs. This eBook has everything from practical life work to science experiments and mathematics giving you great ideas on how to give your child an academic head-start. My favorite part about the eBook is something called action steps. These are clearly defined, practical, and easy to implement ideas, and examples perfect for any household. They really break Montessori down make it accessible for everyone. While all of this is amazing in and of itself, Montessori at Home! eBook and Printables Bundle doesn't stop there. The package includes an awesome array of printables created specifically for Montessori works by Montessori Print Shop -- one of my favorites for affordable Montessori materials. These printables range from literacy to geography, to matching and math. In total, there are 76 pages of printables! I'm already busy using geography cards from the bundle for my next project. The absolute best part!? The price -- you get all of this and more for only $10.95! And as a special for The Kavanaugh Report readers, use this link to get $2 off! Now, giveaway time! 3 lucky readers will get their very own copy of the Montessori at Home! eBook and Printables Bundle! Follow the Rafflecopter directions for your chance to win! John Bowman is also the author of other titles including Help Your Preschooler Build a Better Brain: Early Learning Activities for 2-6 Year Old Children and Teach Your 3-7 Year Old Math. I'd love to use this with my son, it looks like a fantastic resource! Oh boy - I don't think I have enough room in this comment box! Just kidding! I would love to win this bundle, and use it to work on filling our shelves with things we don't have for the next school year, and for some summer learning fun! I love Montessori Print Shop, and I have heard so many good things about the Montessori At Home Ebook, although I've yet to purchase it! :) I am sure there are things that all of my children could benefit from in this giveaway, and I'd be so excited to win! So cool! I'd love to have this stuff! I have twin 3-year-old boys, and we're not putting them in preschool. Some friends and I are trying to start up a Montessori workshop, and these materials would really help! Wow! What a fantastic resource. I'm interested in starting some geography learning with Lillian so this seems like it would be prefect. Very excited to share a love of learning with my 3 year old daughter through Montessori principles and resources! Thanks for opportunity to win this bundle, and your willingness to share your Montessori journey with us. Wow I would love to win this! Have been threatening to buy it for ages, but the Rand / Dollar exchange rate is a bit sad! This is great! I have a 3 yr old and am just starting out with Montessori. I need to work on letter recognition with my.4 year old. This is perfect! I'd love to use this with all three of my kids- baby through preschooler! The Montessori At Home! eBook is being used as a guide for many preschools on adding Montessori materials and concepts to their environments, including a number of rural schools in Africa and India. I think you will find it a complete guide for your Montessori workshop project. Good luck! There is an entire geography & culture section, Claire. Good luck! Maybe you can use the $2 off discount if you don't win, eh? The eBook has everything you need, Chelsmi. Cool name BTW. Hey Synchro, you will find a complete reading program in Montessori At Home! Good luck! You have your hands full, Pippi. The eBook will give you a complete resource for all their home learning activities, good luck! I would love to use this with my girls, it looks fantastic. I'd love this. We've just started homeschooling the montessori way and loving it. We are just getting started homeschooling and would love a great resource. 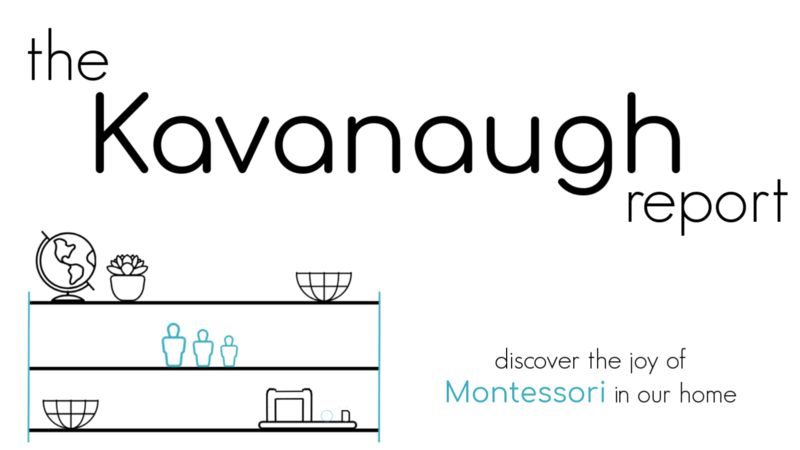 I am new in the US and my two daughters and I dream of starting our homeschool adventure with this wonderful Montessori resources. We'd love to be the lucky winners. Ana A.
I would love to win so I could share this with my little people. I love Montessori! We are just starting out with Montessori with my 2 years old. Thanks for opportunity to win this bundle! I would like to use this in my daycare this summer to enhance the skills of the children I serve. Good luck, hope you win a Bundle! I have heard from many day care and preschool folks who are using the eBook as an activities guide. 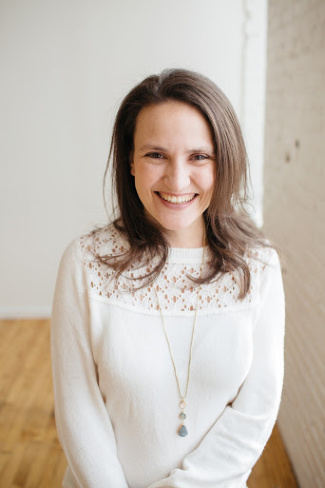 You may be interested in a book I will have out (hopefully) later this year, titled How To Start a Montessori School. It will have most of what you learn in a teacher training course in one book. Your child is the perfect age to start with Practical Life, then move into Sensorial materials. These materials are the heart of Montessori for young children, and prepare them perfectly for the sensitive periods for math, writing, and reading. Good luck! Welcome to the USA, Ana, and good luck in the giveaway! If you do not win :(, perhaps you can use the $2 off discount link and get Montessori At Home! for just $8.95. It really is the only resource you'll need for most of your activities. Good luck, Amy! I know of many preschools and day care centers using the ebook as a guide to implementing more Montessori style materials into their programs. The materials do work very well for both normally developing and challenged kids. Maybe you can use the $2 off discount link if you don't win. I will also have a book coming out later in 2014 called, How To Start a Montessori School, which will lay out most everything you need to know to set up and operate a Montessori Prepared Environment for 2 1/2 - 6 yr. olds. Good luck, Jennifer, and all the best for your homeschooling adventures. When I wrote MAH I had no idea of the extent of the homeschooling movement, but I do now! Wishing you good luck in the giveaway! Congratulations for using Montessori in your homeschooling, It is a method that perfectly adapts to home use. Good luck in the giveaway! I'd love to be able to use these with my 4-year old son.. I'm sure he'll love it as much as I do! I think this would be a great complement for educating my girls! I am dying to win this for my 3 and 4 year old boys who are off preschool for the summer.I have my ands full with a new baby also and would like to start montessori so my kids love learning and stay ahead of it even if we cannot afford montessori schooling. It would be nice to win this. More power to you! I am going to be "teaching" 3s and 4s this fall and this would be a huge blessing! Ooo I would love to win this! I would absolutely love to win this! Having a Montessori home has been important to use since the beginning and while we have only had bad luck in the child department, we are still striving every day to make sure we are ready when we get that phone call! I teach children from low income families so not much cash coming in to get supplies. Winning this would help so much! I have the Maths book from John Bowman and love it. It is so practical. This one is definitely on my wish list. We have just set up a Montessori nursery in the UK and I have to train new teachers who have never worked with Montessori before, so it would be a really handy resource! I would love to win this for my kids. Thanks for the giveaway. What a great set of resources! It would be a great help to have some resources ready made! I "homeschool" my little guy but will be working full time this year, so am not sure how I'll be able to balance it.